Mundi is an ancient city in Indian state Madhya Pradesh; it is thousand years old and surrounded by a forest in the Narmada River valley. Mundi lies in the Nimar Region which includes the lower valley of the Silver River, Narmada River, and Kherkhali River. Some other famous tourist places are nearby Mundi city such as Singaji, ST Bokhardas Gulabdas Dham, Hanumantiya Island, and Adventurous Water Sports. Mostly Mundi village peoples speak Hindi, English, and Nimadi and Write in the Devanagari script. The name of the city was derived from Mundari that stands ring or circle shape. Its population was 30,000 as per 2011 India census. What are the famous things to see in Mundi? What are the popular hotels in Mundi? Why is Mundi called the power hub city? The power plant is named after Saint Singaji, a noble saint, as well as a great poet, lived in Mundi in the 15th century. This small town also is known as the power of the hub city because of this Power plant. 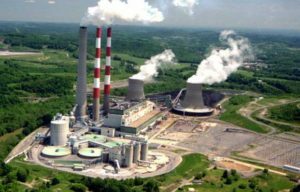 Shree Singa Ji super Thermal Power plant is a big coal-fired power plant located near Dongaliya village nearby Mundi of Khandwa District. 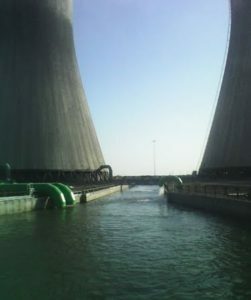 Madhya Pradesh Power Generating Company Limited owns this power plant. This plant was actually constructed in the three-phase development phase but only two of the three phases have been approved for construction. The first and second phase consists of 2 units with a generation capacity of 600 MW each. These units would be super critical thermal plants. The water required from the plant is taken from Indira Sagar source on Narmada River and Coal is taken with South Eastern Coalfields Limited. The Mundi area has a strengthening small and medium scale industrial sector that includes Dairy, Poetry Firm, Cloth industry, etc. Some industries established in a Mundi area which as Shree Vallabh, Kaka industries, Bulandi Brick industry, and Shree Vallabh Oil Mill, etc.